The history of Jackson, Fox and Richardson, Inc. begins in December, 1947. It was at that time that Charles Combs opened the doors to his own accounting practice. Mr. Combs was a long time resident of Southern Oklahoma and felt the need to provide professional service to his friends in the community. Clovis Swanner, CPA, joined Mr. Combs in 1968 after nearly seven years with the Internal Revenue Service. Mr. Swanner was able to add his considerable tax expertise to the firm. Shortly thereafter, the partnership, Combs and Swanner, CPA’s, was formed. Together, these men served Ardmore and Southern Oklahoma providing auditing, tax and accounting expertise. In 1973, James Chambers, CPA, left the largest “Big 6″ accounting firm to associate himself with Mr. Combs and Mr. Swanner. Mr. 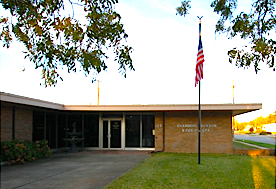 Chambers aided in developing the audit portion of the practice. As a result of Mr. Comb’s death in 1974, the practice was reorganized as Swanner and Chambers, Inc., Certified Public Accountants. The area served expanded to cover much of Southern Oklahoma. Every year a new expansion of services and an increasing quality of auditing and accounting product was seen. The mission of quality service was still the underlying purpose of the firm. Donald Jackson, CPA, joined the firm in 1983. He had been employed by a regional Oklahoma accounting firm prior to his association with Swanner and Chambers, Inc. Mr. Jackson’s background included many hours of training in the auditing schools of a major national firm. This added depth of experience led to his admission to the management team and the formation in January, 1985, of Swanner, Chambers, & Jackson PC. In October, 1991, Mr. Swanner retired from the firm. Mr. Chambers and Mr. Jackson later reorganized the firm as Chambers & Jackson PC, and remain committed to the tradition of service. In 2009 Kathy Fox joined the firm as a partner and the name was changed to Chambers, Jackson, & Fox PC. In January 2013 Mr. Chambers retired from the firm and Mr. Jackson and Mrs. Fox reorganized as Jackson and Fox PC. In October 2015 Mr. Jackson passed away after a long battle with cancer, and his wife, Kay Jackson, CPA, filled his role in a limited capacity. In April 2016, Gabriel Richardson joined the firm as a partner and the name was subsequently changed to Jackson, Fox & Richardson PC. With clients spread over Southern Oklahoma, Jackson, Fox & Richardson PC is a prestigious auditing, tax and accounting service oriented organization. Our heritage as one of the oldest practices in this area instills the pride in the quality of service performed. The experience level is deep, and our concern for the community is sincere.